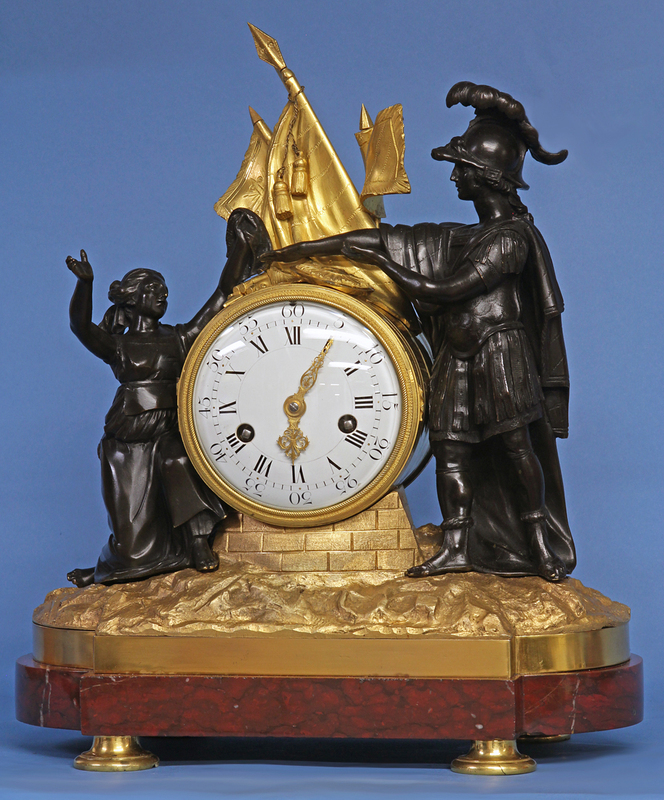 Louis XVI French Figural Mantle Clock. 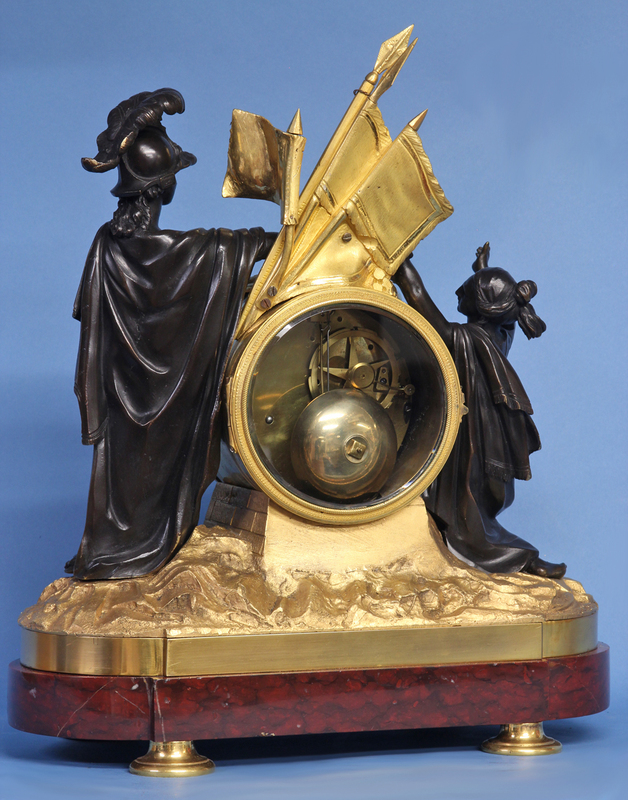 The ormolu rockwork case has patinated figures to the sides, military implements and several flags above and stands on a red variegated base with flattened bun feet. 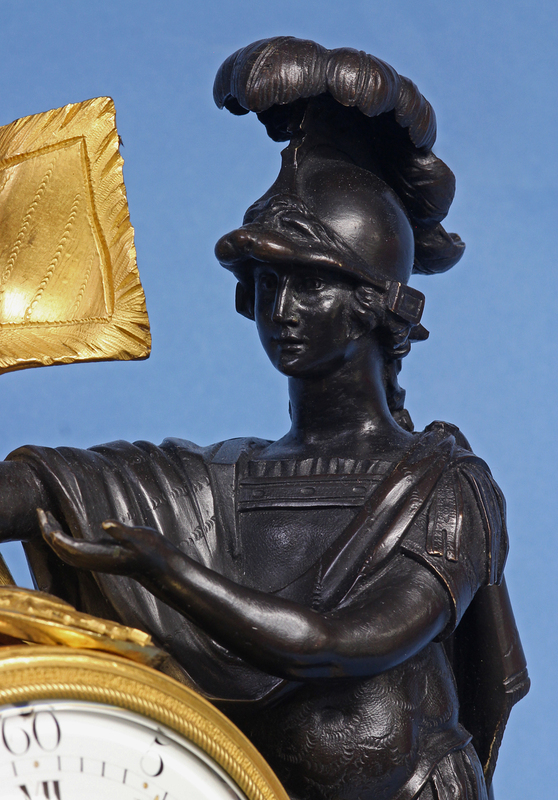 A celebration of the warrior, the female figure, wearing a flowing robe, kneels with outstretched arms before a soldier wearing a Roman era uniform. 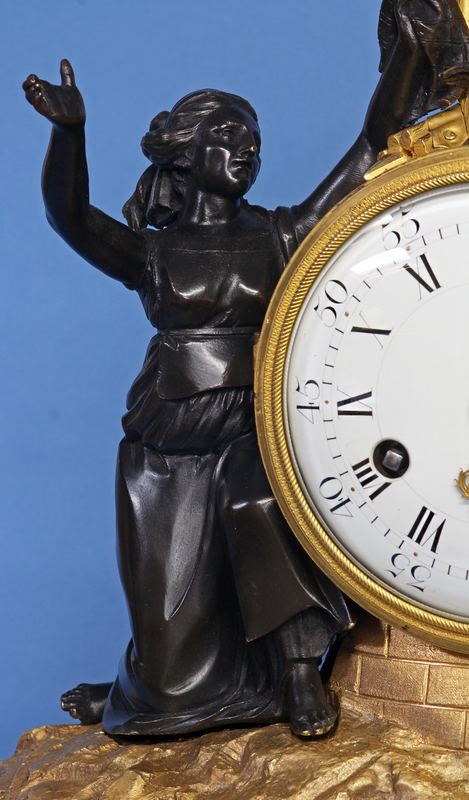 The nicely lettered white porcelain dial has Roman numerals for the hours, Arabic 5-minute marks and elaborate ormolu hands. 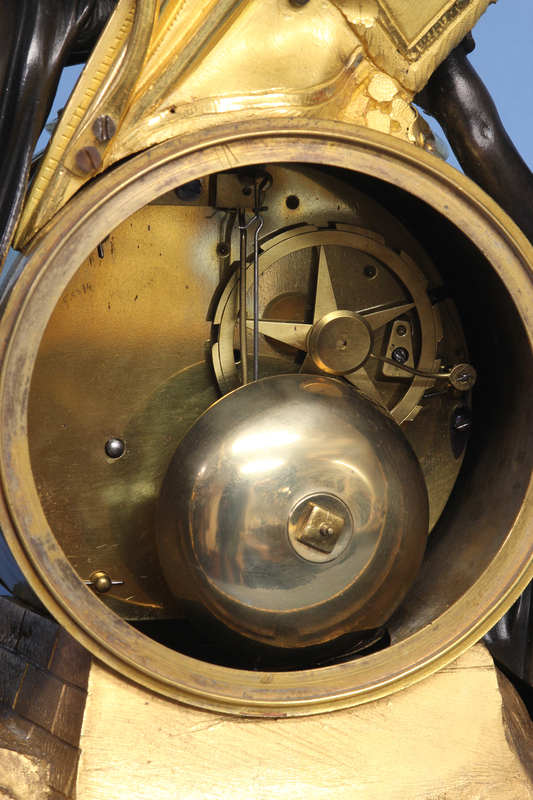 The eight-day time and strike movement has flat bottom plates, a silk-thread suspension with the fast/slow out the dial and countwheel striking on a bell. 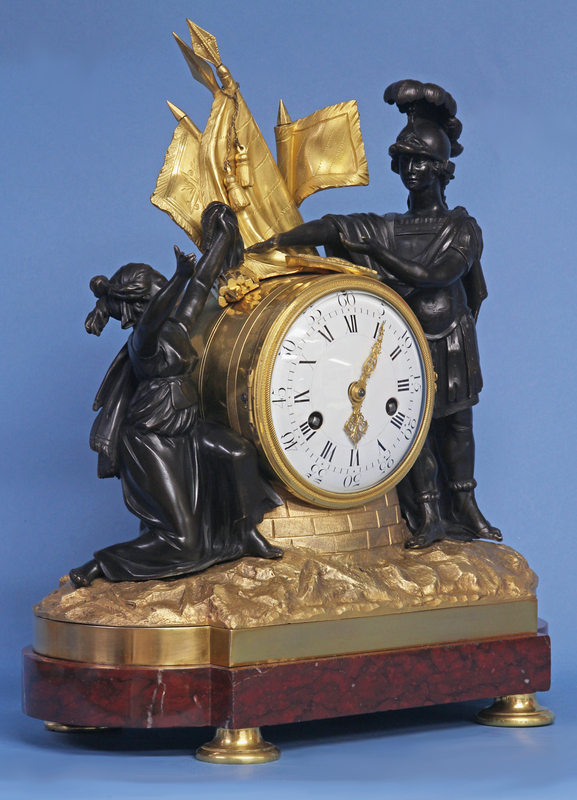 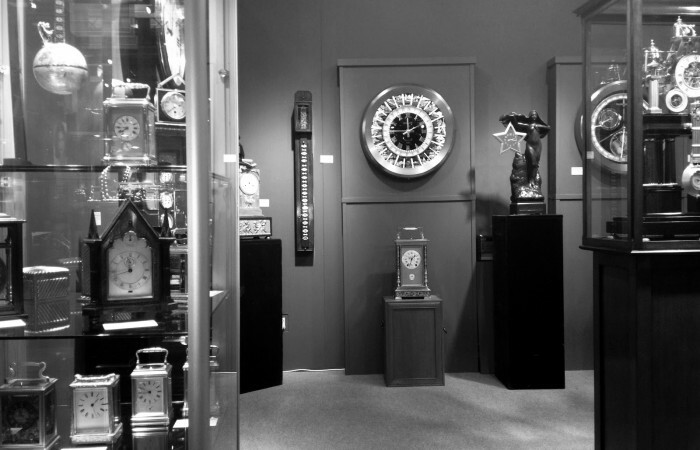 This clock is illustrated in ‘La Pendule Francaise’, pg. 274.